Produced from late 1958 through the summer of 1963, the DB4 proved an elegant departure from the earlier, more upright DB2 road cars that had defined Aston Martin throughout the 1950s, and it established the look that would carry the company into the 1960s and beyond. The DB4 rode on a chassis best described as overbuilt and needlessly heavy, though it proved undeniably stiff and strong, and went unchanged throughout production. Most importantly, however, its brawn was the perfect canvas for Carrozzeria Touring of Milan to apply its Superleggera bodywork, with a series of interconnected steel tubes supporting lightweight sheet metal made of aluminum and magnesium alloy. The attractive DB4 came powered by a Tadek Marek-designed straight six of 3,670 cc. With twin SU carburetors and a compression ratio of 8.25:1, it produced 240 hp. Power was put to the wheels through a 4-speed gearbox, and disc brakes were standard. All four wheels made use of coil springs, with transverse wishbones up front and a live axle, trailing arms, and Watts linkage in the back. Over the course of production, 1,110 DB4s were built, including 70 dropheads. Minor and not-so-minor running changes in exterior and mechanical detail split them into five generally accepted series. Notable among these changes were increased oil capacities and cooling measures to keep the engines from hurting themselves at prolonged speeds, as well as the introduction of the famed Vantage engines in the Series 4 cars. 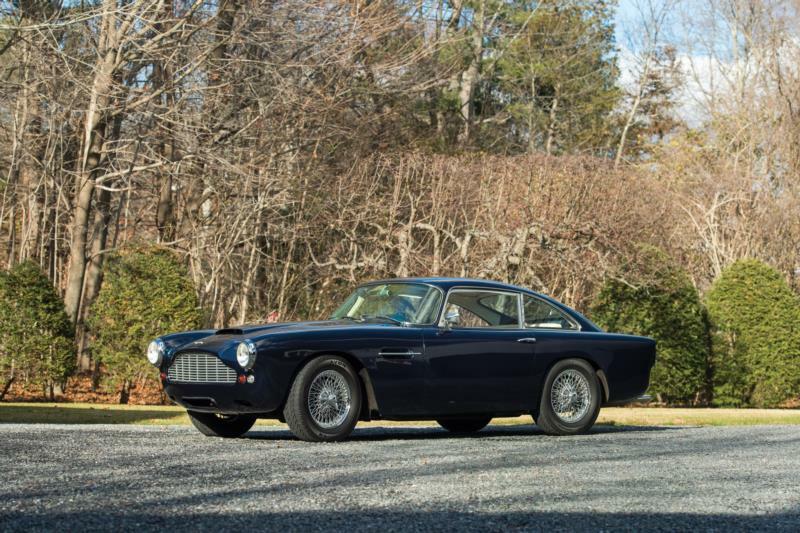 By late 1959, Aston was ready to put its successful road-going coupe on the track, so engineers set to work upping power and shaving weight. The result was the DB4GT, of which 95 were built. An extra 62 hp came from twin ignition, triple Weber carbs, 9:1 compression, and high-compression pistons, while thinner bodywork and a reduction in overall length of six inches and in wheelbase of five inches meant a 190-pound weight savings. Special bits from the DB4GT parts bins, such as the hotted-up engines and covered headlights, began trickling into standard production DB4s. The ultimate iteration of the DB4, and arguably one of the most beautiful cars ever built, came in the form of the DB4GT Zagato, whereby 19 cars were shipped to Milan to be fitted with the firm’s trademark coachwork. Zagato-bodied cars also got a boost underhood, now producing 314 hp. 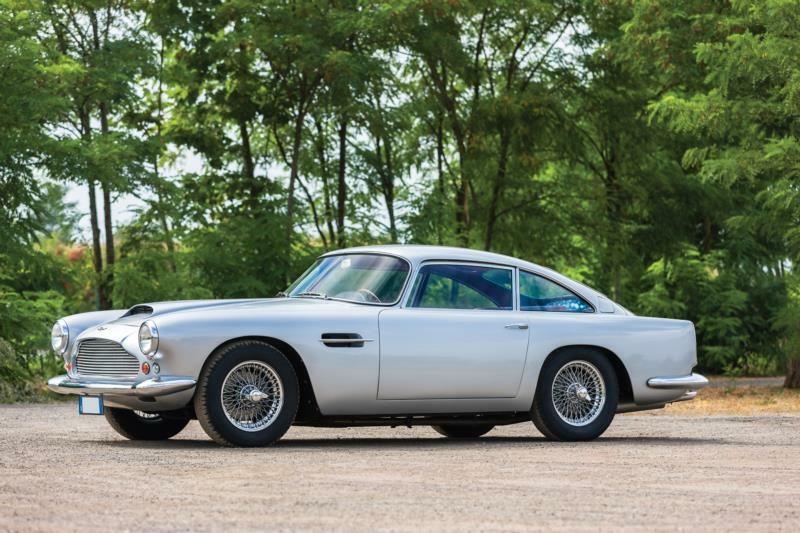 As the most exclusive of the DB4s, they were also the most expensive. Any DB4 is well-built, robust, nimble, and quick. The last two qualities improve with each step up the DB4 ladder; top speeds and acceleration increase in proportion to the number of letters and suffixes one adds to the name. 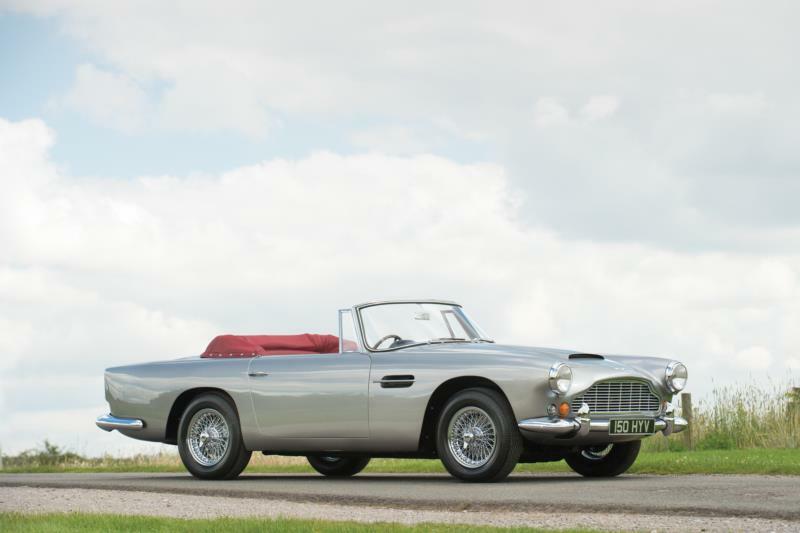 The DB4 marked Aston Martin’s transition from its Feltham home to a new facility at Newport Pagnell, where the marque would remain for the rest of the century. The car also paved the way for the iconic DB5, made famous as the car of choice for James Bond, and for the DB6 that followed. These days, as when new, any DB4 is a suitable mount for distinctive motoring, and they will easily keep pace with the Jags from up the street or the red cars from Italy.